Provide comfort for the family of Laurie Tobia with a meaningful gesture of sympathy. 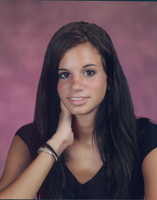 Laurie E. Tobia, 25 of Lake Como passed away on Wednesday April 10, 2019. Laurie was born and raised in the Wall Township area and had lived in Shark River Hills before moving to Lake Como. She was a graduate of St Rose grammar and high school. Laurie also was a graduate of University of Delaware with a major in Psychology and a minor in Art Therapy. She loved to paint and create murals, travel the world, practice yoga, volunteer, listen to music & attend concerts with her friends and family, and had a deep care for helping animals. Laurie is survived by her loving mother Judith DeSarno and her husband Richard of Lake Como and her loving father John Tobia and his wife Jessica of Colts Neck; her cherished maternal grandparents Kathleen and Louis Molinari of Lakewood and her cherished paternal grandmother Ingrid Tobia of Elberon. Laurie is also survived by her beloved siblings Lisa Tobia of Belmar; Amanda and her husband Joe Slater of Brooklyn, NY and Kyra Tobia, of Colts Neck. She leaves behind her Aunts and Uncles; Brian and Kristan Molinari of CT, Michael and Elaine Molinari of Toms River and Anthony Tobia of Ocean Township as well as a host of cousins, extended family and a warm network of great friends. Family and friends are invited to attend a Celebration of Life Service on Monday April 15, 2019 from 1-3PM at the Taylor Pavilion located at 500 Ocean Avenue Belmar, NJ 07719. A funeral service will begin at 3PM. In lieu of flowers memorial donations may be made to Conscious Impact (help build rural communities in Nepal) by going online to www.consciousimpact.org or May The Waves Heal Us All - Mauli Ola Foundation (provide help to those living with genetic diseases) by going online to www.mauliola.org or Monmouth County SPCA 260 Wall Street Eatontown, NJ 07724. Arrangements are under the care of Orender Family Home for Funerals, Manasquan. To send condolences to the family please visit www.orenderfamilyhome.com. To send flowers in memory of Laurie Tobia, please visit our Heartfelt Sympathies Store. The Ale House Family and The Gullaces, Frank Dela Fuente, and others have sent flowers to the family of Laurie Tobia. Lifting your family in prayer. I am so very sorry for your loss. From what I have read; your sweet daughter shined to all in every corner of her life. What treasured memories you will have to keep close to your heart. Blessings. Laurie, we hardly knew you, but know you're leaving a big hole in the family--and the world. Laurie's beautiful spirit will always be with us. Please accept our deepest condolences on the loss of Laurie. My name is Guy Peluso. My wife, Doris, and I are close friends of Laurie's great uncle, Lester, and his wife, Lynette. I have known Lester since kindergarten. I know how important family is to him. Our prayers go out to you and all the family at this time.